Ranchers and others in Okanogan County let their feelings be known on wolves in Washington at the first draft-management-plan meeting held in a county where a pack actually exists. Methow Valley rancher Larry Campbell is suspicious that WDFW brought the wolves here rather than the animals wandering in by themselves, and he wants state officials to take lie-detector tests. All three comments drew applause, Mehaffey reports. Okanogan County is home to the Lookout Pack, which had a second litter of pups last spring. In mid-October, WDFW biologist Scott Fitkin told me they were still above Lake Chelan, in the Sawtooth Range. The Diamond Pack runs in Pend Oreille County north of Spokane. However, two other Methow Valley residents expressed support for wolf recovery during the meeting. Mehaffey reports that more than 150 people attended, which would make it the largest of the 11 meetings held so far. There’s one more on the docket, tonight at 6:30 p.m. in Wenatchee at the Chelan County PUD Auditorium, 327 N. Wenatchee Ave.
Mail: WDFW SEPA Desk, 600 Capitol Way N. Olympia, WA 98501-1091. As world attention focuses on the 20th anniversary of the fall of the Berlin Wall today, another German wall comes to my mind. A few years ago, while honeymooning in Deutschland, my wife and I swung through the town of Rothenburg ob der Tauber, a walled medieval city in northern Bavaria. It’s a tourist trap, for sure, but pretty cool — Fachwerk houses, marktplatz, historic Rathaus, soaring towers, crazy legend from the Thirty Years War, Kriminalmuseum, churches, burggarten, the whole nine meters. Early that day we walked the mile-long Stadtmauer, or city wall, which protected Rothenburg during the Middle Ages, and at one point, I looked over and was surprised to see the space above someone’s garage door filled with deer antlers. For a brief moment, it was like we were back in Winthrop or Twisp, Wash., somewhere hunters are proud to display their game publicly. Of course, the racks weren’t very large — stags, these weren’t. Rather, they were from the great Dane-sized roe deer that roam the countryside. I snapped a picture and Amy and I moved on around the wall. Last week, there was an interesting article in the Wall Street Journal about deer elsewhere in Germany, and of a much larger size. In the Bayernwald, fences, border guards and more kept the red deer from migrating between the forests and mountains of Bavaria and the Czech Republic, between NATO and the Warsaw Pact, between West and East for 30 years. Even two decades after the staredown ended, the animals haven’t really resumed going back and forth across the formerly militarized zone. Instead, they “mysteriously turn around when they approach” the former border,” WSJ reports. Well, most do anyway. A single stag from either side (a German named Florian, a Czech named Izabel) have braved the border and stayed on the other side. 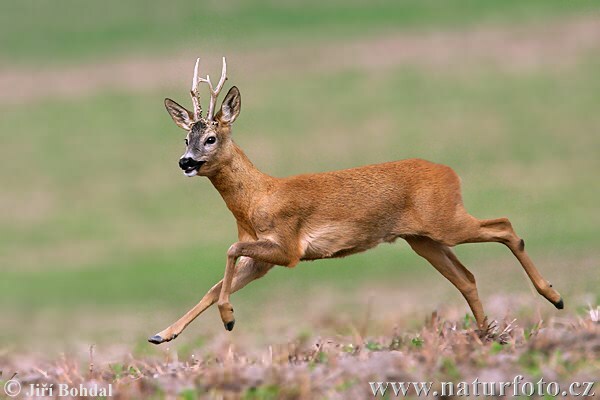 Intrigued researchers have slapped radio collars on the deer to study their movements. But if they’re anything like the mountain goats of Oregon’s Elkhorn Mountains, more and more stags will begin to cross the line to seek out new territory and mates. That may improve the hunting for Germans. Believe it or not, the very densely populated country has a very rich and socially accepted hunting tradition that continues to this day. James Hagengruber did an excellent piece on it in Montana Outdoors several years ago. He reports that hunters, not the state, manage the game, which also includes wild boar, and that they must file management plans for their leased areas (hunting apparently isn’t allowed often on public land). They can also sell their kill at markets and to restaurants. I didn’t know this when I ordered the Wildschwein, or wild boar, last Christmas in Dinkelsbühl, another Bavarian walled city (Amy’s from Cologne; we were traveling with her family). Unfortunately, no Jagermeisters had bagged any in recent days, so I got the Hirsch, or deer, instead. Pretty good. Germany is twice the size of Washington but has a population of 81 million or so, so how’s there any room for hunting?!? If you drive along the Autobahn, or almost any other Bundestrasse in Germany, you’ll see numerous hunters’ huts in the fields, on the edges of woodlots, at the edges of town — even hard up against the highway itself. The huts come in a variety of forms, but are generally boxy things. Supported by stilts, they sit about 10 feet off the ground. A ladder leads up inside, and they have windows that allows the hunter inside to see in three directions. I’ve seen some roe deer in the countryside, but only in the Austrian Alps, at a farm high on a ridge, have I seen red deer. They look similar to our elk, though their butts aren’t white or tan like ours. All right, just now John, our production guy here at Northwest Sportsman, brought me more December issue pages to proof, so I had best pinch off this rumination and get back to work. Sixteen-hour shifts, 22-hour shifts, ’round-the-clock watches. Exhausted Fish & Wildlife officers curled up on the hard floor back at headquarters. One hundred and twenty citations issued in just nine days by five guys. Vehicles impounded. Rifles seized. Dead deer taken away. A suspect hauled off to jail. While my father and I and several friends were hunting the Methow Valley’s highlands during last month’s general deer season, Sgt. Jim Brown and the rest of the Okanogan Detachment of WDFW’s Enforcement Division were trying to keep order everywhere else — and having a hard go of it. “The common thread is these people come from elsewhere — and I’m not singling out the Coast — and they disconnect their brains. Did you think you were going to the moon and there were no game laws?” Brown wonders. According to a local paper, most of those citations occurred in the Methow Valley, and included the usual suspects — “trespassing and alcohol violations” — but five hunters also shot at a robotic deer decoy. One guy who allegedly shot at a real deer and shouldn’t have was Jack W. Hill of Darrington, caught by the State Patrol along the Conconully Highway outside Okanogan with a 4×4 at, oh, 2 a.m.
Brown says because the man, described as in his 20s, has been convicted before, it was a felony offense. Hill was booked and jailed and had his Jeep Grand Cherokee seized. Two other men were cited for illegally shooting two does, not tagging them, killing them in an area not open for does and for illegally transporting them. Their Nissan Frontier was seized, and while it has since been bought back, Brown says a criminal case is still pending. It’s always busy, of course, when it comes to the general rifle hunt in Okanogan County, one of the state’s top destinations for big muleys. And Brown says he’s always asking for more help from elsewhere in the state, but they’re just not available. That meant 10- and 16-hour days for he and his officers, even two who were out 22 and 24 hours, the latter lengthened by the arrest of Hill. Brown says his men were too exhausted to drive home after their shifts, so they rolled out sleeping bags and crashed in the office. “I came into the office and said, ‘What’s this? '” Brown recalls. And no, they didn’t get overtime. “These guys are dedicated,” says the sergeant. As it was, the 120 citations represent 20 to 25 percent of the annual case load for the detachment, which also covers northern Douglas County, Brown says. He seems to have a particular distaste for trespassers hunting on private land who won’t leave, or who leave gates open, or who cut fences. “It gives (landowners) a bad taste in their mouth,” he says. And then, he says, hunters wonder why a rancher won’t give out permission to access their land. “Well, let me tell you the history behind that guy,” he says. Brown himself hears about it. He’s a hunter, but when he goes a’knocking on farmland doors, he doesn’t reveal that he’s a warden. “Those guys who do that stuff give all hunters a bad name,” he says. “I’m having a crow problem,” a friend of mine recently emailed me. The photo he sent showed a murder of the black birds hopping, chowing down and otherwise being raucous just inside the forest line of his 5-acre spread outside Granite Falls, Wash. They were gathered around what remained of the carcass of a 5×5 muley my friend had shot the previous weekend in Okanogan County. He’d finished butchering it himself at home, and now the bones were in the final stages of disassembly. He’d left the backbone and ribs in front of his trail cam, which covers an area of converging game traces and trails he’s carved out of an old clearcut. Besides the crows, a coyote and bobcat also came a’ calling the night he put the carcass out, as well as the next. Pretty interesting, I thought, but it got even more interesting when this morning he fired me another round of images. I don’t know how many more mouths that Methow muley will feed, but so far so good says my friend about the table quality of that buck, aged at 51/2 years old. WDFW staffers heard that sentiment over and over last night in Seattle during a meeting at REI on the state’s draft management plan, a different tone than previous events in Yakima and Aberdeen. The plan’s assumption that 15 breeding pairs of wolves across Washington equaled recovery and delisting from state protections was challenged as too low by most of the 20 people who spoke during public comment. However, that was not universal. A North Bend hunter, Jack Field of the Washington Cattlemen’s Association, and an Olympia area rancher all said 15 was too high. “Compared to Idaho, we should have seven,” said David Wilson, the hunter, who came dressed in tasteful camo baseball hat, camo boots and camo belt. He also took umbrage with some of the verbiage in the 300-page document, specifically “illegal hunting” which is used 14 times. He wanted to see a more respectful term used for the problem of poaching. With so many unknowns as wolves filter back into Washington, Harriet Allen, among the authors of the plan, had to answer that question nebulously — “A lot is to be seen” — but did her best with 14 or so other querries before the meeting wrapped up a bit before 9 p.m. It was the eighth of 12 get-togethers being held around the state during a three-month public comment period. Tomorrow night there is another meeting, at the Cottontree Inn Convention Center, 2300 Market St., in Mount Vernon. It begins at 6:30 p.m. While the subject of wolves is extremely polarizing, the approximately 150 or so people who attended last night’s forum — the most since Yakima — were well-mannered, the comments free of personal attacks and the typical cultural fears about wolves. As everyone filed out, an audience member approached Field and thanked him for coming over from Ellensburg. “Even bigger than salmon?” I asked. He used vivid imagery to paint a picture of a coyote-killed calf, and said it would be worse with wolves. “Lethal take is something I need. I’m not going to wait to call 911,” he said. Field and Nelson both called for a much lower number of breeding pairs, around eight, before delisting. That’s a bit fewer wolves, though, than many want. Ralph Turner, who says he lives next to the Olympic National Forest, called for 30 pairs. A few called for flat-out reintroduction of wolves into places like Olympic National Park — not a consideration at this time. But at least nine speakers supported WDFW’s Alternative 3, which divides the state into four recovery regions — the preferred version, Alt 2, has just three — and requires they be on the Coast, theoretically the most difficult area for wolves to get to, before delisting. Translocation — moving wolves around inside the state to facilitate recovery — is part of Alternatives 2 and 3, but would require either state or national environmental reviews based on where any animals were being released. Alternative 3 also contains what’s described as the “most generous” compensation for confirmed or suspected livestock depredations. Under Alternative 2, ranchers would be paid current market value at a 2:1 ratio on grazing areas over 100 acres (the theory being that for every cow or sheep wolves kill, there’s probably another that won’t be found). However, funding sources for reparations aren’t clearly identified. Several speakers noted personal experiences with wolves — hearing them while kayaking or camping in Alaska. Phil Lundahl of Lynnwood, the evening’s first commenter, experienced the latter: “I want that opportunity for my two girls,” he said. It was a line that gained loud applause, a whispered “good start” between two staffers of Conservation Northwest seated near me, and an immediate tamp-down from Madonna Luers, a spokeswoman for WDFW acting as the meeting’s facilitator, for reasons of time constraints. But Lundahl was far from being some wide-eyed, dreadlocked, Red Riding Hood, REI clothes-smothered ecosort. He introduced himself as “deer and elk hunter” who’s been chasing game in Washington for 20 years. He listed positive ecological benefits of wolves on ungulates — healthier animals — and landscapes — less overbrowsing. Lundahl, Wilson, Field and Nelson were among the half of the audience that actually stuck around through the whole meeting, and afterwards, as WDFW staffers picked up the room, Lundahl was engaged in deep conversation with another hunter who hadn’t spoken. When he broke away to fetch his car out of REI’s garage before the company closed the doors for the evening, I caught up to the soft-spoken 50-year-old. His comments were not something I’ve heard much of from many Washington hunters, at least not publicly. A successful outdoorsman, he says he’s tramped the William O. Douglas and Goat Rocks wilderness areas as well as Quilomine in the Colockum in search of bucks and bulls. “In the long run, wolves are in the best interest of deer, elk and moose, and the health of those species are in the best interest of big-game hunters,” Lundahl said. Whether that’s true or not, two months remain in the public comment period. If you can’t make tonight’s (Nov. 4) meeting in Mount Vernon, Thursday’s in Sequim, or next week’s in Omak and Wenatchee, you can also fax, mail or electronically submit your thoughts through Jan. 8. The eighth of 12 meetings taking public comment on Washington’s draft wolf management plan will be held tonight in Seattle at REI’s flagship store, 222 Yale Ave. N.
Meanwhile, this morning the Peninsula Daily News previews the issue for a meeting Thursday night at the Guy Cole Convention Center, 212 Blake Ave., in Sequim. Both begin at 6:30 p.m. The Federal Way, Wash., angler who has led a drive to clean up Puget Sound rivers this fall as well as the volunteers he’s recruited recently received kudos from Olympia. I was delighted to learn that you and your team will be participating in the Skykomish River Cleanup this weekend, with future events scheduled at the Skagit and Cowlitz rivers. As anglers, you see the challenges facing our watercourses firsthand. Washington is home to magnificent natural resources, but we must work together to ensure that they stay that way. I appreciate your initiative and applaud each of you for volunteering ycur time to help preserve the health of our rivers and streams. The stewardship of our natural resources is vital, not only for the health of the environment, but also for the enjoyment of future generations. With your cleanup at the Puyallup River yielding over 1.5 tons of trash and debris, your exceptional efforts are truly making a difference. I hope your good work will motivate and inspire others to step up and embrace their role as agents of change and good stewards ofour natural resources. Thank you for again your incredible spirit of action, and please accept my best wishes for a successful volunteer effort. Guerrero heads up Sportsmen for the Preservation of Our Rivers and Streams, organized in late summer after bumper salmon runs drew large crowds of anglers to local rivers. Some, unfortunately, left their tackle, drink and food packaging and other junk behind, giving all sport fishermen a black eye in media reports. “I’m just an angler who enjoys and respects nature and will not let these idiots destroy the beauty of our natural rivers and streams,” Guerrero wrote me. The Oct. 3 event on the Puyallup, which drew 80 volunteers, cleaned up refuse fishermen left behind, as well as old tires, chairs, furniture, clothing and other stuff one wouldn’t normally find in a tackle box or fishing vest. With the Skykomish River high and muddy last weekend, 30 volunteers picked up around 600 pounds of garbage at two boat launches and along a street anglers park off of. Trash included numerous empty plastic water and soda bottles, beer cans and bottles, cigarette packages, wrappers and other items. Guerrero’s final cleanup of the year is scheduled for 9 a.m. to noon Nov. 7 on the lower Skagit River. Headquarters is Riverfront Park, 1001 River Road, in Sedro-Woolley. To join, email Guerrero at rosendo64@yahoo.com. POSTSCRIPT: Guerrero and Sportsman for the Preservation of our Rivers and Streams received a thank you letter from the mayor of Monroe, Donetta Walser, after the clean-up on the Skykomish. “This project was a wonderful visual enhancement and quality of life development to our fragile river ecosystem … Volunteer projects like this build a sense of pride that is critical for the health and well being of our community,” she writes. The way Mike Cenci sees it, Port Gamble S’Klallam fish and wildlife officers were free to request the IDs of hunters who’d just taken a bull elk along Hood Canal in early October, but the two lacked the authority to arrest the men and their approach with guns drawn was wrong. Cenci, the deputy chief of WDFW’s Enforcement division, and the Jefferson County Sheriff’s Office have completed their investigation into the Oct. 3 incident. Though they weren’t allowed to talk with the two officers, they presented their findings to the tribe yesterday, and have referred the matter to the county’s prosecuting attorney to determine whether to file charges. “I certainly believe they went beyond the scope of what their authority was,” says Cenci. One of the men who was detained, Adam Boling, has filed a complaint of illegal detention with the county. His friend Don Phipps was legally hunting elk with a muzzleloader on private land they had permission to be on. With the sensitive nature of the case, Cenci presumes that the prosecuting attorney will seek legal advice from the state attorney general. The tribe has said that “the officers were within their jurisdiction and operating on the tribe’s ‘usual and accustomed hunting grounds,'” according to articles in the Peninsula Daily News and Port Townsend Leader. “Natural Resources Enforcement officers are mandated to respond when a possible violation is reported within the tribe’s usual and accustomed fishing and hunting grounds, and are expertly trained to handle these situations,” reads a statement from the tribe released midmonth. However, Cenci says that that phrase “usual and accustomed” is misused. “Those words are associated with tribal fishing rights — not hunting,” he says. And when contacting nontribal members in off-reservation lands, Cenci says that the officers only had the authority to request the hunters’ IDs, not the right to arrest them. “If an individual requests (an ID) and is told no, the tribal officer is done,” Cenci says. He’s also sensitive to the approach the officers took. While he points out that natural-resource law enforcement is fraught with danger — it’s often done in remote sites miles from backup, some contacts involve armed felons or people wanted on warrants, and a growing number of poaching cases involve what he calls “hard-core criminal element” — he says that state fish and wildlife officers would have acted differently. A photo slideshow on the Port Townsend Leader’s Web site shows men loading Phipps’ elk into Boling’s Toyota pickup and then being approached by the tribal officers with at least one gun drawn. The hunters are handcuffed and more police eventually arrive on the scene. “The approach was inconsistent with how state fish and wildlife officers would approach, but it’s tricky. My gut feeling is they were operating within good faith of what they thought their authority was,” Cenci says. The Port Townsend Leader’s article today indicates the tribe’s own investigation isn’t complete, but would be available when it is done. NOTE: THIS VERSION CORRECTS TERMINOLOGY USED FOR THE TWO PORT GAMBLE S’KLALLAM OFFICERS. ACCORDING TO SPOKESWOMAN GINGER VAUGHN, THEY ARE FISH AND WILDLIFE OFFICERS, NOT TRIBAL POLICE OFFICERS. SHE ALSO SAYS THE TRIBE’S INVESTIGATION WILL LIKELY BE AVAILABLE EARLY NEXT WEEK.